The Australian Dollar (AUD) pushed up yesterday following on from the Reserve Bank of Australia’s (RBA) October decision to keep interest rates on hold at record lows of 2.00%. The accompanying statement by Glenn Stevens, Governor of the RBA, indicated that “further information on economic and financial conditions to be received over the period ahead” will be needed to determine whether the governing body’s current position on monetary policy will remain effective. The Australian Dollar (AUD) responded to the decision and statement by pushing up by over half a percent against a basket of currencies. The Australian Trade Balance was also released yesterday and despite a weaker than expected result of imports outweighing exports to the tune of -3.095B, the Australian Dollar (AUD) remained relatively unaffected. Clearly, the RBA interest rate decision and statement was at the focal point of economists and investors over the Trade Balance. Today the Australian economy will report on the Performance of Construction for the month of September which achieved the expansion reading of 53.8 last month. The percentage change to Australian Home Loans and Investment Lending for August will round out the domestic data releases for this week on Friday. The AUD/GBP exchange rate hit a 7 week high yesterday to trade above 0.47, following on from the positive movement resulting after the RBA rate decision. Tonight’s UK economic data in the form of Industrial and Manufacturing Production will be at the focal point of investors and economists in determining the next direction of the AUD/GBP exchange rate. The markets are expecting an improvement to the annualised Industrial Production figure from 0.8% to 1.2%. The annualised Manufacturing Production figure is also forecasted to improve from the previous contraction result of -0.5% to -0.2%. The Bank of England (BoE) October Rate Decision will be announced tomorrow evening and no surprises are expected, with the governing body almost certainly scheduled to keep rates on hold at 0.5%. Once again it will be the accompanying statement from Mark Carney, Head of the BoE, that will impact the AUD/GBP exchange rate. 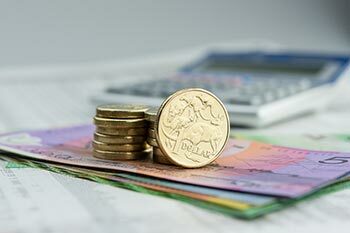 The AUD/GBP exchange rate is currently trading at 0.4700 at 0800 AEST.